There are plenty of ways to lose money to fraudsters. Keeping your money safe, especially online, is challenging when fraudsters use increasingly sophisticated ways to deceive investors. 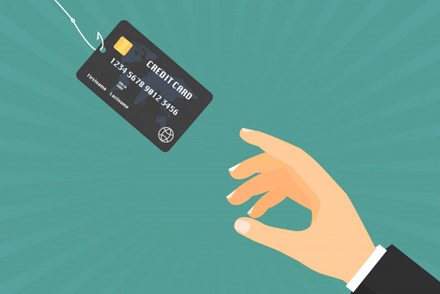 Our regulator, the Financial Conduct Authority (FCA), has issued a new warning over the growing threat of loan fee scams which specifically target borrowers. According to the FCA, more than £3.5 million was lost to this form of fraud during the last year. Reports to the FCA’s consumer helpline about loan fee fraud increased by 44% in 2017, which demonstrates how much this type of scam is growing. Victims of loan fee fraud are often targeted online when searching for personal loans. The fraudster tells their victim they need to pay an upfront fee to secure a loan, but ultimately the loan never materialises. Worse yet, victims are often encouraged by the fraudsters to make multiple advance payments. This form of scam appears to be particularly effective because the victims become increasingly desperate to access the loan they have been promised. The FCA says that the average loan fee scam victim lost £740 last year. This is a sizeable amount of money for anyone to lose. Mark Steward, Executive Director of Enforcement and Market Oversight, FCA, said: We’re seeing an increasing number of cases of loan fee fraud reported to us. Fraudsters target people making online loan applications and who think they’re being contacted by a legitimate loan provider, when they are not at all. Scammers take advantage of the excitement people feel when they are offered or accepted for a loan and make the loan conditional of an upfront fee, which can increase to hundreds of pounds. Of course, no loan ever materialises. Before applying for a loan always check who you’re dealing with, be sceptical, make sure the loan provider is authorised by the FCA. Check our register at fca.org.uk. Victims of loan fee fraud tend to be the most financially vulnerable in society, including people on lower incomes or with low credit ratings. However, victims of investment fraud are often wealthier, more experienced investors. A previous analysis of the victims of investment fraud, commissioned by the FCA, found that over 55s were the age group most likely to fall prey to fraudsters. This victim profile appears to have changed slightly in more recent years, with the rise in online scams for things like binary options leading to younger investors being targeted through social media use. Suspected investment scams can be reported to the FCA at fca.org.uk/scamsmart. The most important rule of thumb when staying safe from fraud is this; if it seems too good to be true, then it usually is. Always seek a second opinion before parting with your money. Only ever deal with authorised and regulated financial advisers, and check first on the FCA financial services register at fca.org.uk/firms/financial-services-register to make sure you are dealing with a legitimate adviser.